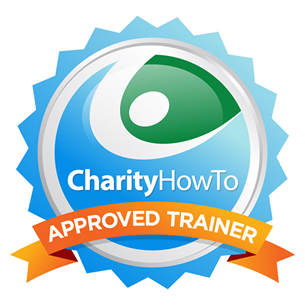 90% of Post-webinar Survey Respondents Rated This Nonprofit Webinar as Great to Excellent! This course is brought to you by a GPA approved trainer. Diane H. Leonard, GPC is 1 of only 18 GPA approved trainers. Do you put yourself in your grantmaker’s shoes when writing your application? Do you think about their knowledge and assumptions when drafting your proposal? You have to think like a grantmaker in order to impress them, and “knock their socks off” with your proposal. Presenter, Diane H. Leonard, *was* a grantmaker, so you’ll want to trust her insider perspective. 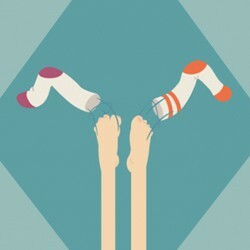 Don’t miss “How to Knock Your Grantmaker’s Socks Off” so you learn how to write a grant application that will engage your grantmaker *every* time and knock their socks off with your grant application. In this live, interactive webinar we will look at the steps necessary to write a narrative grant application that not only engages your reviewers, but compels them to want to advocate for you to receive the grant award. You don’t want your grant application to only be “fundable,” rather you want it to be the top judged/top scored proposal so you are the most competitive proposal being reviewed. We will go step by step through how to achieve this in each portion of your process from identifying a funding opportunity to clicking submit for an application. Participating in “How to Knock Your Grantmaker’s Socks Off” will give you the critical steps to follow for implementing a “mock review” in your organization to have your editing process mimic that of a grant review process so you start to think like a grantmaker. You’ll see first hand how the mock review process dramatically changes and increases the competitiveness of each application. A guide to creating and running an internal mock review process in your own organization. A free 30-minute follow-up consultation with Diane about your specific questions or concerns about writing a competitive grant application.